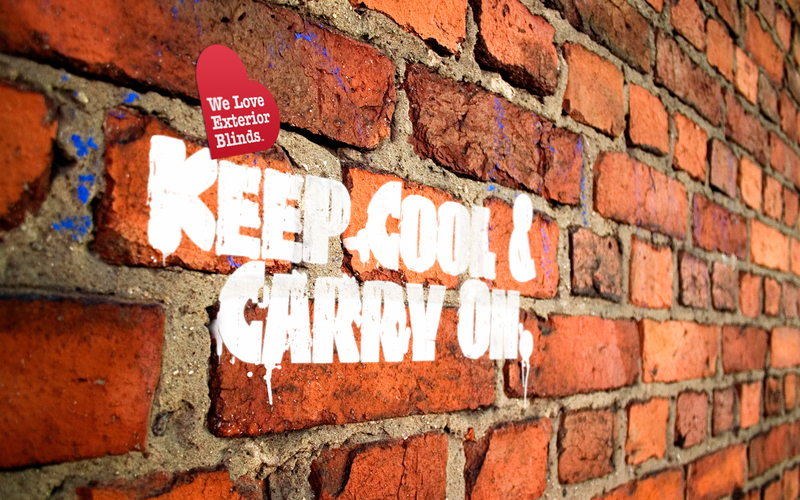 We are not your average blinds company. 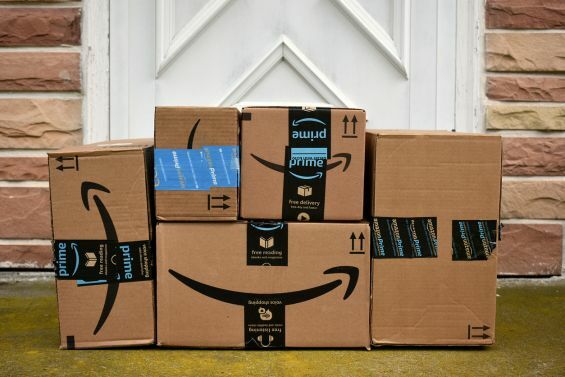 Shopping trends have changed over the years since the introduction of the internet back in the 90’s, it has now become an integral part of our everyday lives. With information and resources more easily accessible, and advertisements thrown at us left right and centre, it is hard to refrain from the persuasions of spending. Before the days of the World Wide Web most people would have shopped local and the consistency of high quality products were higher. 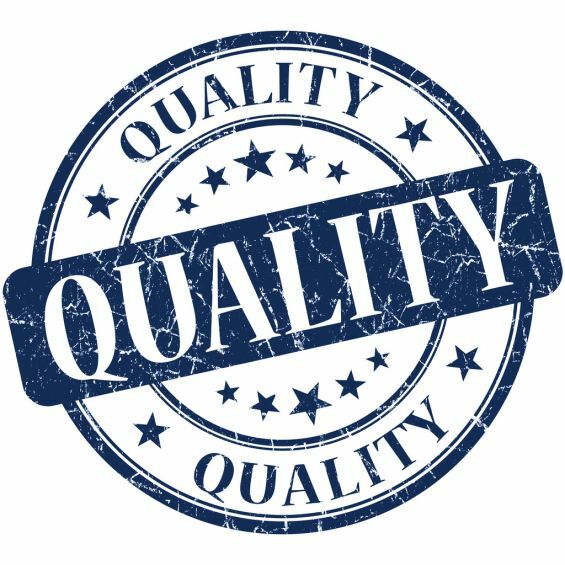 The internet has a allowed a platform for all to push their products from far and wide giving us more choice which can sometimes lead to poor quality products flooding the market and clouding the established brands and limit the client and business communication. External Blinds are becoming the home owner’s choice. The sales of External Window Blinds have seen a significant increase over the years and it’s not going to slow down anytime soon. 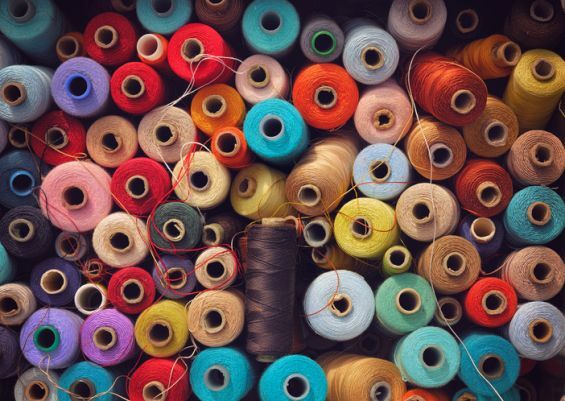 Traditional curtains have seen a decline and they now make up less than half of the market as oppose to blinds which now contribute one third of the £1.4 billion marketplace. 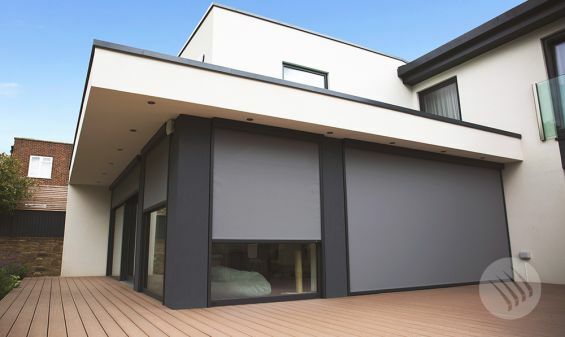 The influence of Grand Designs and other home renovation shows has seen more and more modern buildings incorporate External Blinds into their designs and for good reason. 'Get Set For Summer' and make the most of your garden this year. 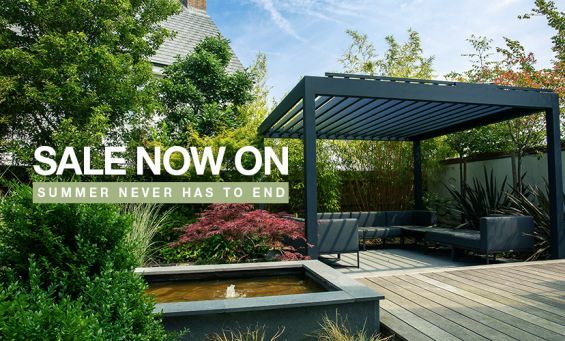 Our Get Set For Summer Sale, saving you 20% off our External Blinds, Patio Awnings and Louvered Roofs (Outdoor Living Pods), has been extended, running now until Thursday 18th April 2019. 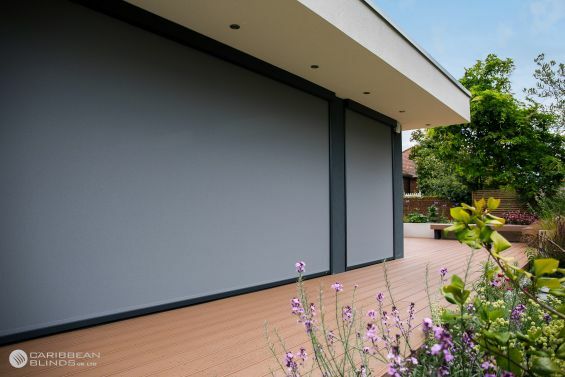 With Easter just a month away, now is the ideal time to invest in external shading and transform the use, functionality and enjoyment from your space ready for the warmer months ahead. To qualify for 20% off, you simply have to select our most popular Anthracite Grey or White for the hardware (metalwork) colour and you will receive 20% discount* off your order. Plus we’re including a FREE wind sensor with all our external blinds and awnings too as an added bonus. Enhance your lifestyle and benefit from our low sale prices. 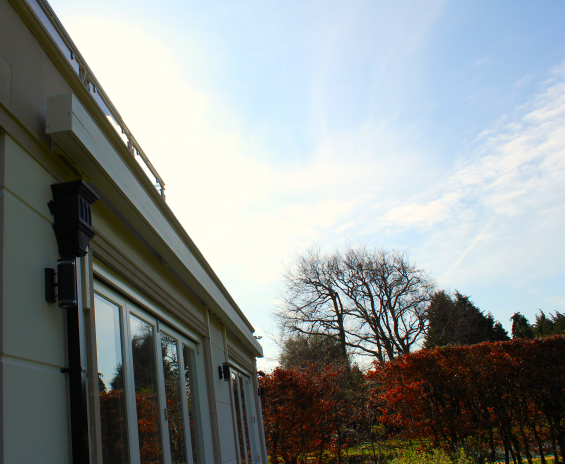 How do our Blinds & Awnings keep up with the Unpredictable British Weather? Stay one step ahead using our advanced sensory technology. With the global climate changing, we are now experiencing unpredictable patterns in the weather due to the effects of global warming. We touched on this issue in a previous blog when February gave us an unexpected streak of heat with the highest temperatures recorded for that month. The weather is changing and this will certainly be causing some issues in homes across the United Kingdom. Could this be a heads up from Mother Nature? Over the last week many of you will have been enjoying the warm winter weather, strangely those three words together are very uncommon. For the first time in the history of the United Kingdom temperatures have risen above 20C in February, it was only a few weeks ago we were moaning about the painfully freezing conditions and this time last year the UK was up against the snowy blizzards that put this country to a standstill. Britain’s climate is changing and we need change and adapt with it. 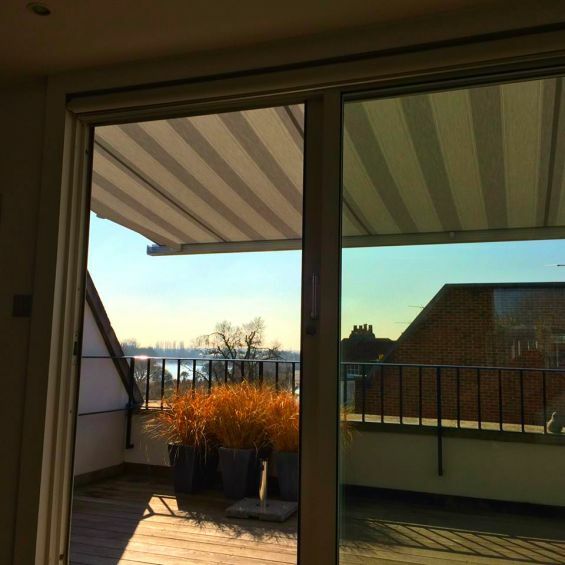 How do you keep your Awnings, External Blinds and Louvered Roofs Safe from the Snow and Frost? 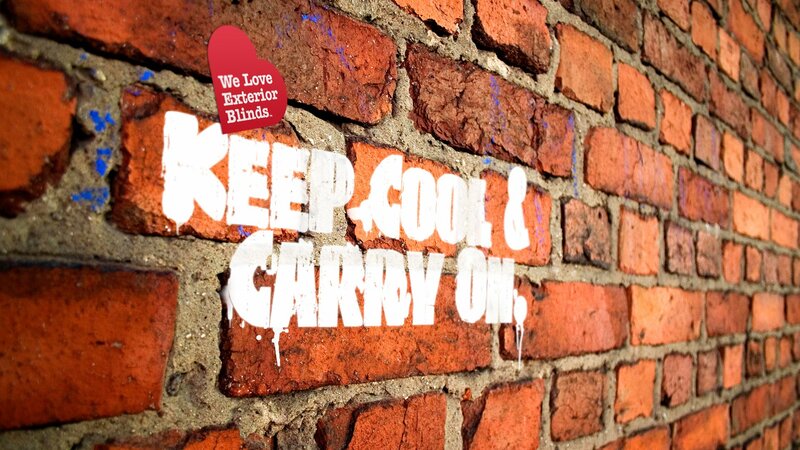 Look after your External Shading Solutions and they will look after you. 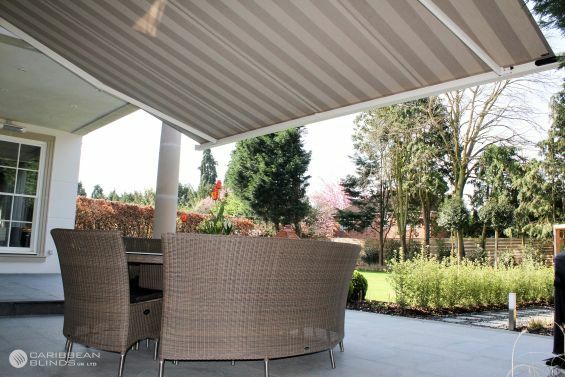 Our Shading Solutions have been engineered with tough materials to combat the harsh elements of the British climate. The robust design and innovative features of our External Window Blinds, Patio Awnings and Louvered Pergolas give them longevity, a feature our clients desire when purchasing an outdoor home & garden solution. A few things to check off before winter sets. It may sound like quite a task but it’s better to do this now than be sorry later. 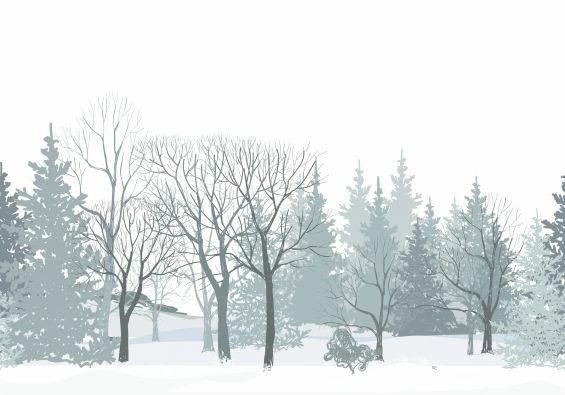 You may not see it but the change of seasons can have an effect on your home so it is important to make seasonal checks especially on the run up to our harshest season of winter. Take a look at this quick checklist and give your home the maintenance it needs to get through winter. 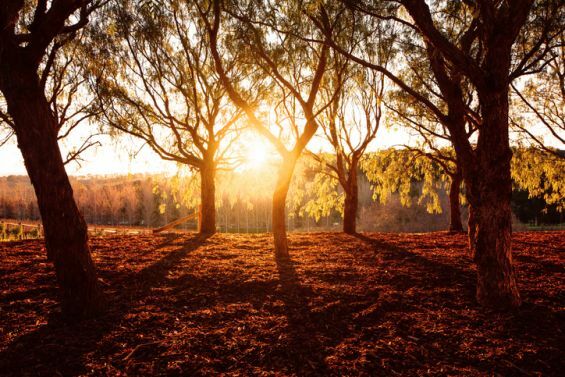 Is the Low Winter Sun Causing Issues in your Home? We have a shading solution that can help. The low winter sun is here and it is causing issues in most homes that consist of large glazed features such as sliding and bi-folding doors, conservatories and glass room extensions. One issue is light glare, this is caused by the sun making direct contact with the glass which can cause quite a distraction and sometimes disrupt your daily routine. If you are in a working environment this is certainly something you want to avoid; when the sunlight hits the computer screens or any digital displays this can be a nuisance as the light can cause glare that makes it difficult to see. For those homes that comprise of a lot of glazing, such as glass room extensions and conservatories, are vulnerable to solar heat gain. This is caused by the sun’s solar rays being magnified by the glass causing a heat build which can cause discomfort. So how can we combat these issues? A quick tip to keep your shading solutions safe. It is starting to get to that time of year where everyone across the country will be getting up a little earlier to clear the frost from their cars to leave for work. This autumn season has been blissful with the sunshine but the early mornings and late nights are when the chill creeps in and sets into our outdoor furnishings, glazing our patios and frosting the tips of the grass. Keep your belongings free from frost damage by storing them in a dry place like the shed or garage. Retain heat, save money and save the world with External Blinds. The temperature is dropping in the United Kingdom as we delve deeper into autumn and homes all over the country will be switching on the heating and the firing up the fire places. In this current climate change we need to become more energy efficient and look at ways in which we can reduce our energy consumption to better our planet. Recent reports have warned us of the significant risks that could impact our lives if we continue the way that we do. Our habits need to change and we need to adapt our homes and the way that we use our space, by making the right investments you can help to reduce the impact on the planet and save yourself some money at the same time. Summer never has to end. 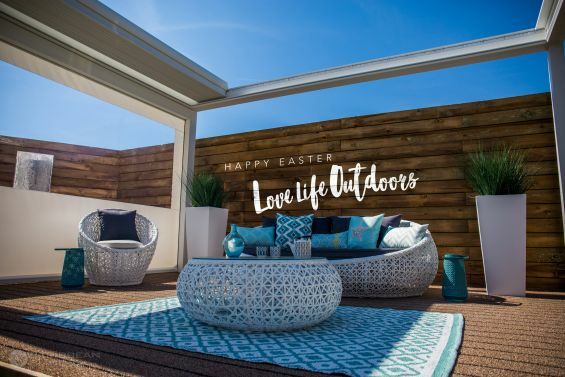 It is that time of the year again where we are offering you a fantastic opportunity to take advantage of our huge savings on our outdoor living solutions. Here is what you need to do next time there is a storm. Last week we experienced some terrible weather as Storm Ali made a visit and caused distress all over the country. 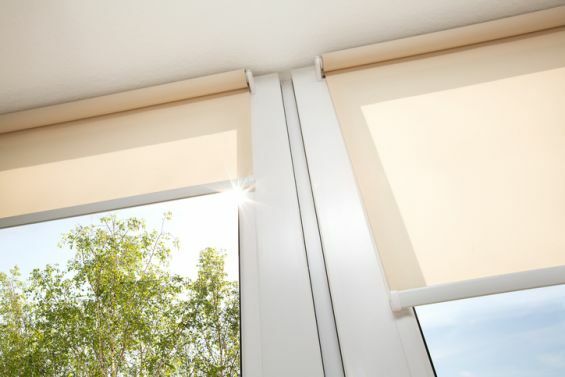 Now that we are out of the summer season, weather conditions will change and become more unpredictable, so it is important to be ready, which is why we are writing this article to give you some crucial tips to keep your Blinds, Awnings and Outdoor Living Pods™ out of harm’s way. The need for External Blinds will continue to increase. As the world’s population increases we are using more resources which is putting an immense strain on our planet causing irregular weather patterns. We have experienced a very intense summer this year as temperatures soared to as high as 40 degrees, a heat that we are not regularly used to hear in the United Kingdom. Unless we really get a grip on global warming then we may be set for a few more scorching summers, so how can we adapt and ensure that we can get through the next one? Improve your health and lifestyle with a free natural resource. 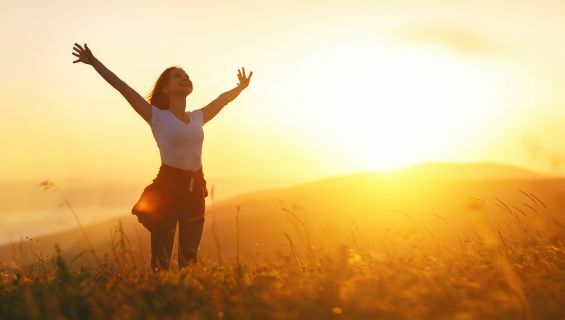 Natural light is a resource which we should not take for granted, it has many benefits that can improve our health, increase our productivity and reduce our energy consumption; these are all factors that we want to be taking advantage of for a better lifestyle. Here are just a few key points that will open your eyes. Apply External Shading over your glazing to eliminate Solar Heat Gain. Our homes are our sanctuary to relax and unwind after a hard day’s work and it’s not nice to come back to a warm welcome that is going to leave you frustrated. External Shading is the most effective solution to reduce the internal temperature inside your home but first you need to understand why it happens before it happens so that you can be prepared and beat the heat. Why are External Blinds better for my home? Find out the benefits of protecting you home from the exterior. 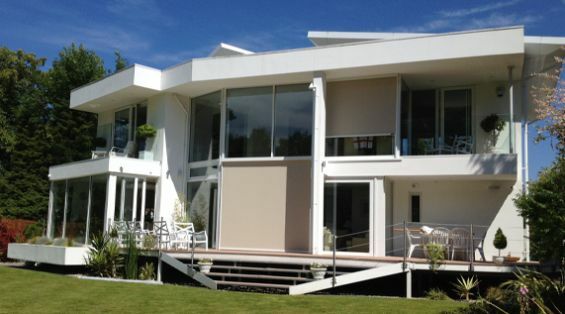 The hot weather that we are experiencing is a great way of understanding how External Shading can benefit your home. 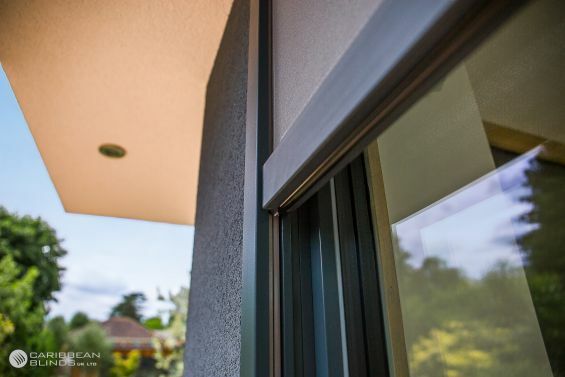 At this moment of time many of you may be feeling the heat, we have listed some benefits of applying External Solar Shading Systems to your windows and doors so that you can make an informative decision on protecting your home. 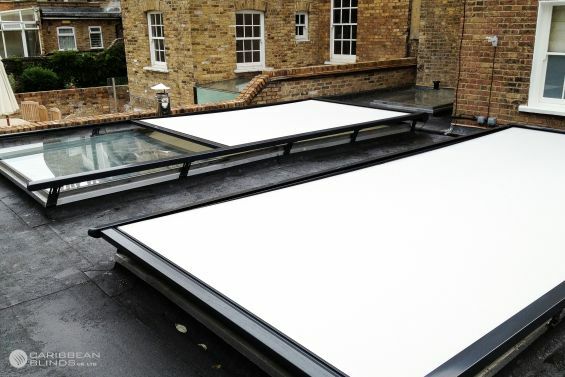 Here is how you apply solar protection to a seamless glass extension. 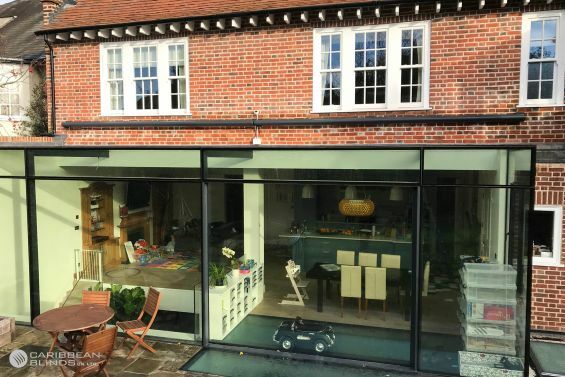 Using large expanses of glass in a building design is a common trend in the United Kingdom, it creates an open airy feel but it also comes with its disadvantages which we have mentioned in a previous blog. 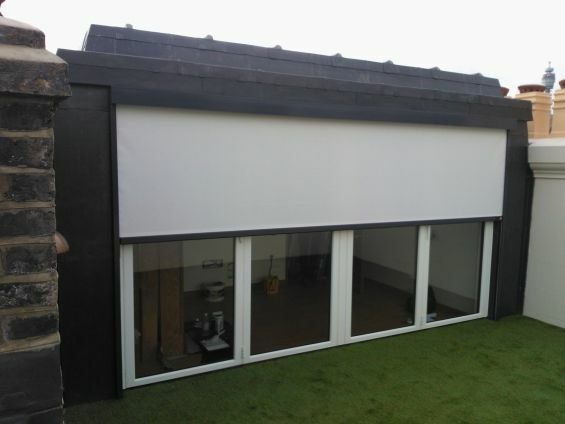 Glass is commonly known to magnify the solar rays and intensify the temperature within the internal environment which is why it is ideal to apply solar protection on the exterior side of the glass using External Roller Blinds and Roof Blinds, but what if you have a glass room extension that uses seamless glass? The flaw in some contemporary homes. The growing trend of architectural designs that incorporate glazing is not something that is likely to fade out anytime soon. There are more and more building design masterpieces that are being built with large expanses of glass as the main features, they create a stunning effect, flooding in lots of light into the internal space. If they are not designed right with the appropriate cooling systems in place then they can cause issues later down the line. Was your bank holiday weekend too hot to handle? 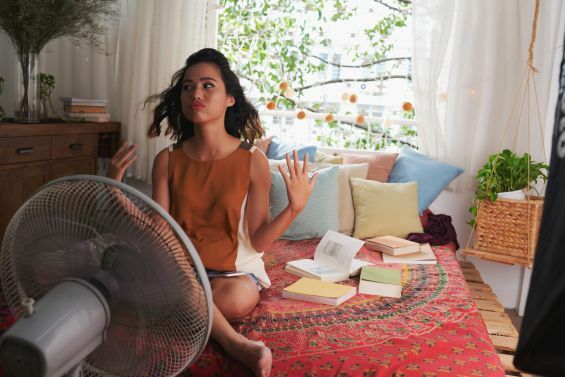 Yesterday was a particularly hot day in most parts of the country and it is safe to say that many of us may have experienced some internal heat issues in the home which would have caused some unwanted discomfort. The fans were probably on full blast and windows wide open to try and catch a slight light breeze to cool us down, it sounds like a lot of effort to us. External shading can save you money. The weather is starting to become increasingly consistent with sunshine as we go deeper into spring, with summer around the corner we are looking very hopeful for a sunny season. 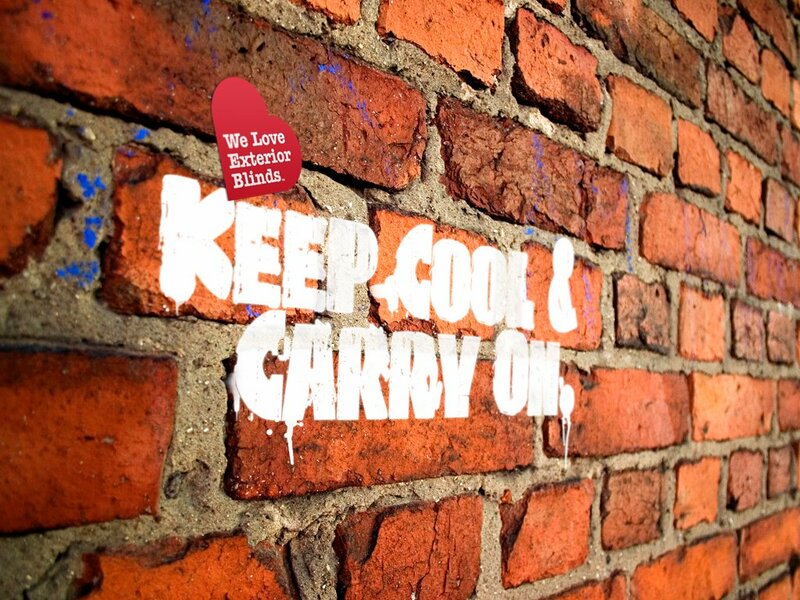 Cooling the internal temperature of our homes is not high on the priority list as most people’s focus will be on other domestic improvements. External shading should not be disregarded as it could potentially save you thousands in the long term and that fact alone is something we certainly do not want you to miss out on. Are you tired of the sun ruining your furniture? The bank holiday weekend was the hottest we have had since 1999 and Brits across the country certainly made use of it, the DIY and garden centres were busy as people started to prep their homes for the summer. Spring is the ideal time to make new improvements, a heat spell like this is enough motivation to get those plans started. With the arrival of Spring and the extended Easter bank holiday underway our thoughts turn to outdoor living, with many of us looking to prepare and revitalise our gardens, ready to enjoy alfresco living to the full. There is nothing quite like the ambience of being outside, however, the unpredictable British weather often spoils and dampens the use of the terrace. 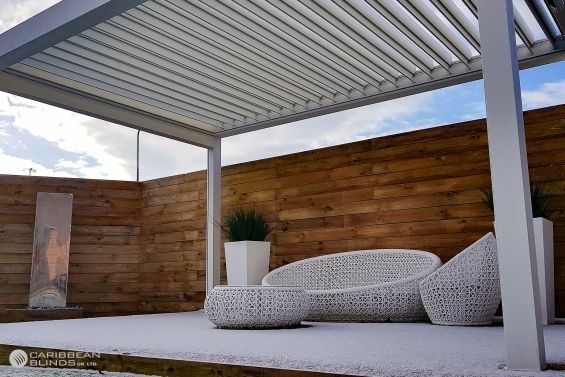 A key design feature to consider therefore when investing in your garden is providing flexible shade and shelter, that enables you to enjoy your outdoor space come sun, wind, rain or even snow. It’s time to prepare your home for the new seasons ahead. SMART tech will give you control and piece of mind. 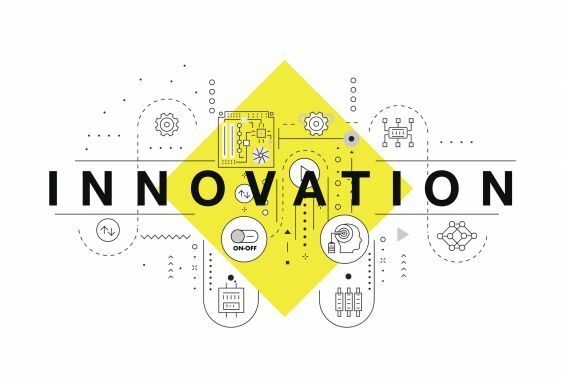 Technology is moving at a very fast pace and we are continuously seeing more and more advanced and innovative products on the market, all designed to make our lives easier by using SMART applications that will eliminate the unwanted stresses of life. A technology that is becoming more common in household objects is voice control along with SMART phone software. Protect your blind/awning during chilly temperatures. Snow decided to make an appearance over the weekend but it did not cause as much disruption as the ‘Beast from the East’ did the other week. As beautiful as the snow may look it can cause some minor issues which we just don’t want to deal with, such as clearing the driveway and gritting, along with washing the car to keep it free from damage causing minerals from the roads but these jobs have to be done. Reduce your energy consumption and save money where you can. As the population continues to grow the stress on our planet sadly increases as we demand much of its resources to function. We have the world’s smartest and innovative people continuously working around the clock to create solutions that will be able to provide us with sustainable energy for a greener future that does not involve such a high carbon foot print. We cannot just rely on these people to pull us out of this situation, we need to start making changes to our own habits and start teaching future generations a new way of life. This can all start at home by implementing these five top energy saving tips, with everyone making the effort we will be making a huge difference already. Are you walking into an unwelcoming humid office/home? There is nothing better than seeing clear blue skies and the sun shining down, when it makes a surprise appearance it really sets the tone for the day. As great as this moment can be this can come with some other unwanted surprises that can stall the start of a great day. 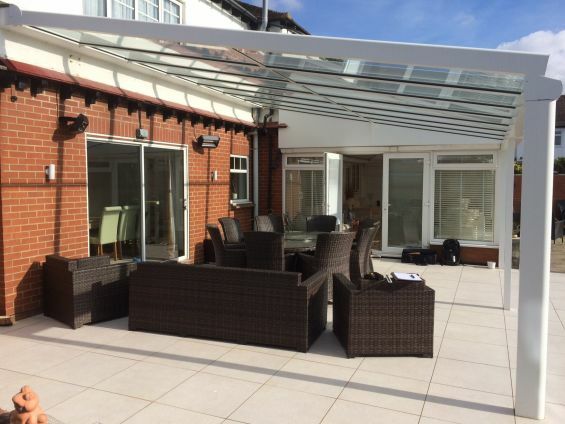 Use your traditional pergola for longer with external shading solutions. 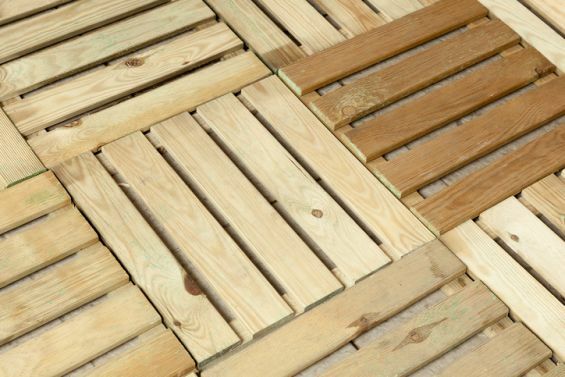 Wooden pergolas are a popular feature in many gardens all across the United Kingdom. The traditional and elegant style fits in well with most landscapes as they are versatile in their use. When these structures are co-ordinated with plants then they are sometimes used as decorative archways for garden paths, this can create a very aesthetic feature to the garden. Most often they are the main focal point of the external space, used as an outdoor living area where people can relax under. Keep your home cool with external shading this year. 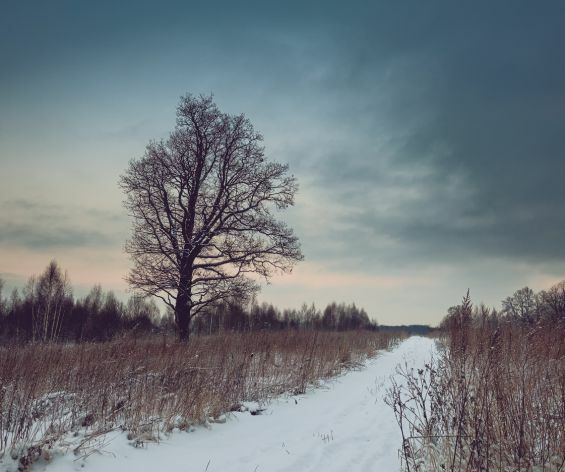 Over the weekend many of us will have experienced some surprisingly warm weather, for a moment it seemed like winter was a thing of the past until that cold Monday came back around to bring us back to the chilling reality of February. At least we got a taste of what is to come and I am sure this would have triggered some summer senses and habits for a brief moment, it may have also unveiled some common issues that come with warmer weather. Is glare ruining staff efficiency and moral? On average UK motorists lose over 30 hours per year sat in traffic on route to work. Few of us can avoid the traffic and for many it can set the tone to a bad day in the office. 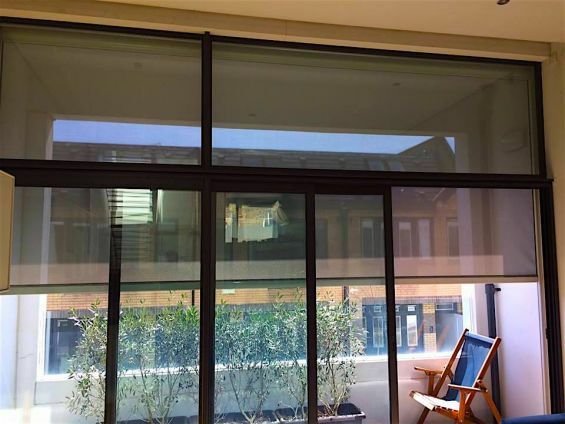 With clearer skies and the days beginning to lengthen, many homes consisting of large expanses of vertical glazed elements such as bi-folding and sliding doors are now suffering from the low winter sunlight, which easily and directly penetrates through, causing excessive light (glare) and for heavily glazed rooms such as glass box extensions excessive heat build-up too. This in turns leads to many people drawing the curtains or blinds which blocks the view and spoils the enjoyment from the space as the outside has been blocked off. The start of the day and another great review received overnight complementing an external roller blind installation in Croydon, Surrey. 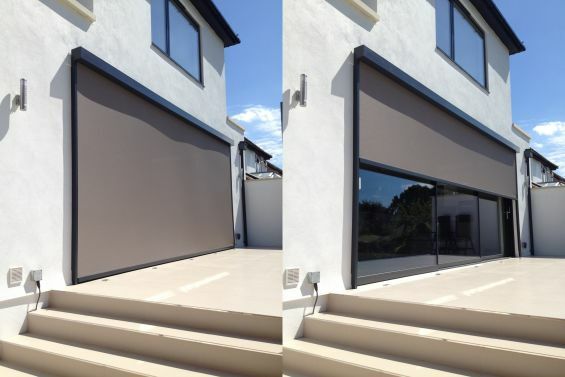 Keep your external shading system protected. Most of us have experienced the harsh frosty weather we have been having over the last few days, the temperature has really plummeted and disrupted the daily routine. We could be close to a white Christmas with only two weeks away. As beautiful as the snow and frost may be we need to take precautions and be safe. 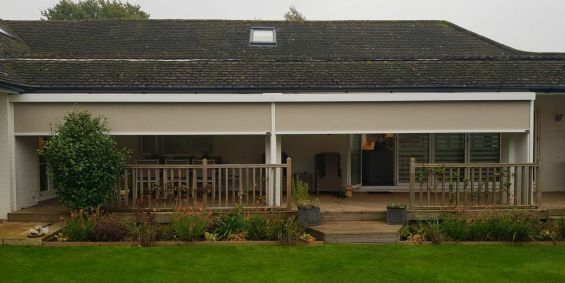 The McIntyres had a wonderful porch to the rear of their home in Horsham, Surrey, which enabled them to enjoy alfresco living however the open exposed sides prone to driving rain and wind entering the space limited their enjoyment from this feature. The cold nights are upon us and there is nothing worse than waking up to a cold room and starting your day with a chill. There are ways in which we can help to keep ourselves warm and energy efficient at the same time. It’s not the wisest idea to leave the heating on through the night as it can be very costly and it does not help the environment. 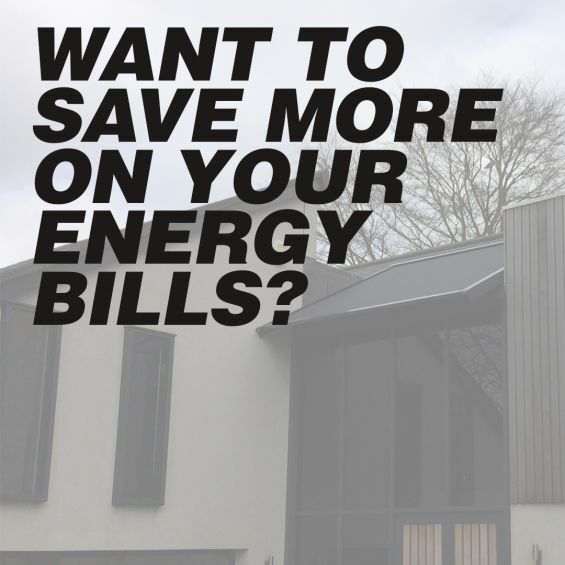 By investing time and money in the right energy efficient home improvements you will save yourself a substantial amount on energy bills. A wide range of products can often be confusing and sometimes poor quality. When you visit a high end restaurant it is sometimes often easy to tell what sets it apart from its competitors and that is usually the small selection of fine food they have on their menu. A clear and precise menu that focuses on the quality of the ingredients and the experience it will leave you with. In other cases I am sure that we have all experienced it one time or another where we have sat down to eat in a restaurant and spent half the experience reading a menu that would put a child to sleep. When we are presented with a long list of options it can quite often be difficult to analyse what it is we actually need and want. This same method is applied to all of our other purchasing processes when it comes to the real world. 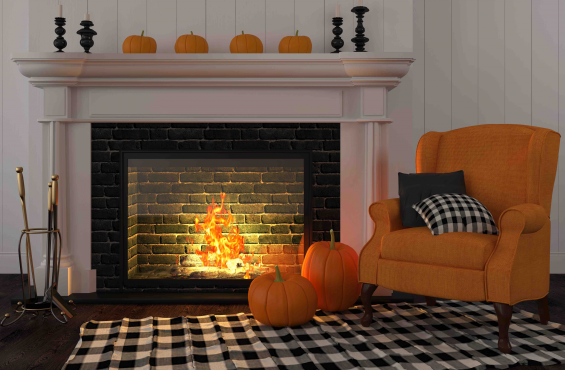 Prepare your home for the seasons ahead with our quick checklist. As summer slowly departs the morning dew and the chill in the air arrive to take us into autumn. Some may not like the idea of the colder seasons coming in to take over but it’s a force that is inevitable. 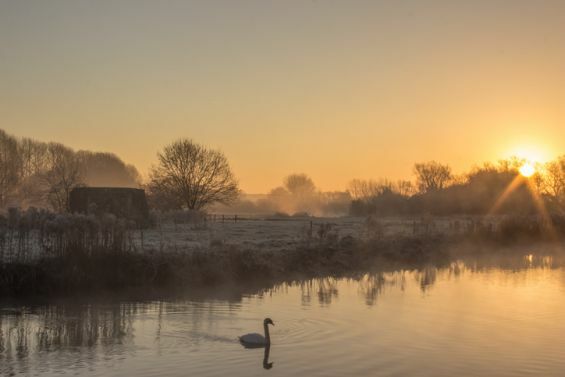 We have to be prepared and start making maintenance checks on our homes and make the appropriate adaptations in order to get through the frosty days. We have created a small autumn checklist for you to get stuck into over September and make your home safe and ready for your family. Get your home ready for Autumn and save on your energy bills. Autumn is be fast approaching bringing along its colourful yellows and reds with that chill in the air. Our days will soon get shorter and our layers of clothing will get thicker as we approach the tail end of the year. One thing that will be certain is our energy bills will see an increase as the thermostats get cranked up and gas fires put on blast. Are you paying high energy bills in the city? London is a lively and crowded place and it continues to grow and flourish as people flood in to experience city living. As we are all aware that living this life can come with a price, property value is on the rise and rental prices can be very extortionate. If there are ways to reduce costs in areas then Londoners will take the opportunity to do so as we are in the day and age where we now have to be smart about the way we live and take different approaches. We are in full swing with the summer season, the kids are off from school, the parks are busy and the shops are rammed, this part of the season is particularly busy for parents as they plan activities and holidays to keep the children occupied. 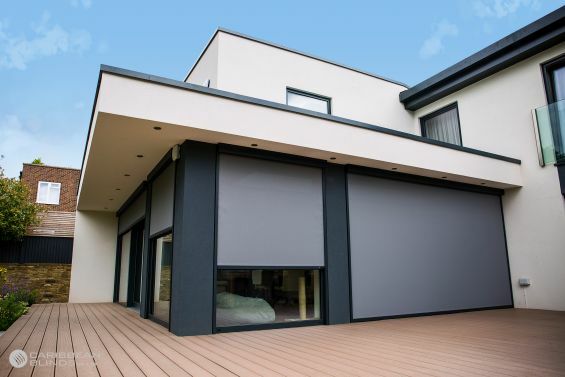 It is generally a busy time for many of us across the country especially at Caribbean Blinds as demand for external shading soars with the warm weather. Automated shading solutions make easy living. 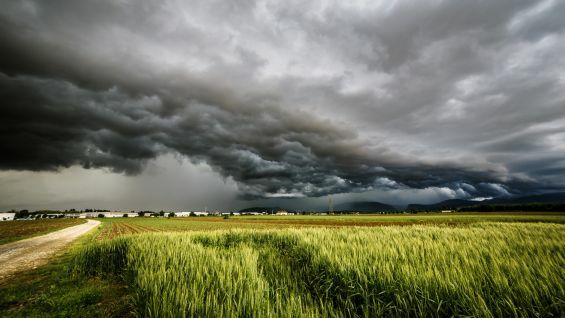 The British weather can be hard to predict most of the time, when the weather is good it is great but when the weather takes a sudden turn and catches us off guard then this can be a disappointment, especially when you have left the clothes outside to dry or mid-way through a BBQ. As technology continues to advance we continuously seek out these solutions to make our lives run smoother with far fewer altercations. External shading could save you thousands all year round. We’ve all noticed that the suns intensity increases year on year and although cooling the home may not be on the top of our agenda, considering our colder seasons (and typical British Summer weather, hot then cold), it is still something that is worth considering as it could save you money in the long term, no matter what the season. Don’t wait in line, enjoy the sunshine with shade. As always the British weather is changing, throwing us off and keeping us on our toes for that next spin of sunshine. As we work through the week we are always clinging on to that hope that the sun will arrive in time for the weekend so that the BBQ’s and parties can commence. As soon as it makes an appearance it is only then in a typical British manner that we start to moan about the heat being too intense to even step foot outdoors, we will never be happy unless we start doing something about it. Having recently built a contemporary house, with expansive glazing to capture the stunning views across the Cromer coast, the Royalls realised they needed to regulate solar radiation entering the space as even early on in the year, the open plan living space was warming to uncomfortable levels. Is your home open to prying eyes? Our home is a place of relaxation, a retreat to block out the world outside so that we can enjoy our time with our loved ones. After a hard day’s work we look forward to getting home for that hot scrumptious dinner or sink into the sofa and read a book. Whatever we do in our own time we want it to be ours which means privacy is key. It has been another busy month for us; our team are on top form and they are continuously working hard to ensure a high standard of customer satisfaction, which is reflected in our reviews. This month we have undertaken some complex and large installations where our team have got to use their individual skillsets to full advantage. It was a difficult choice between two of our projects, however, we chose May’s install based on our ability to install blinds discreetly where others could not. 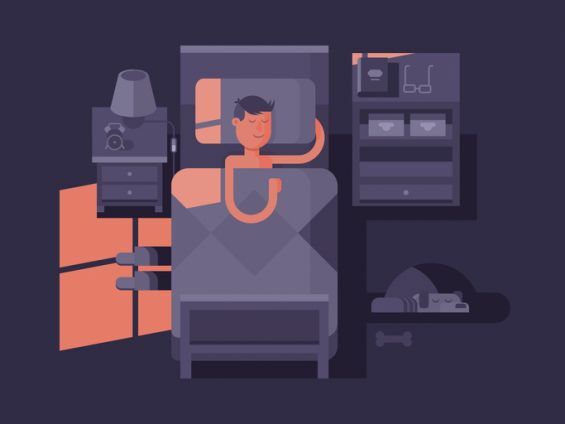 Is your east facing room disturbing your sleep? Although we are still officially in Spring it really is starting to feel like Summer this week. 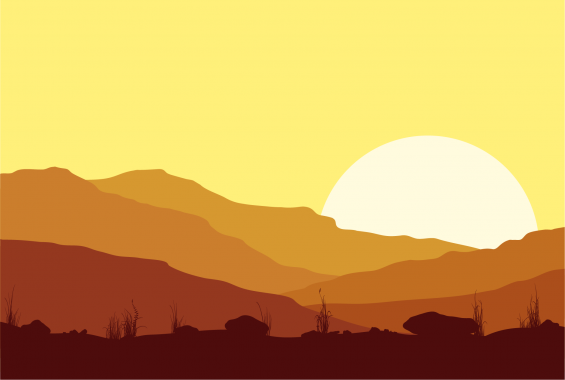 During the week most of us have experienced the common issues that come with the intense suns rays – this weeks warm up is a chance to see and solve those problems before the real heat sets in. Make your home smart, safe, secure and happy. Technology has advanced so far and so quickly over the past few years and it is great to see new innovations making their way into our homes. A lot of products we are seeing have been designed with specific reasons, either to make our busy lives a little less busy or for peace of mind. 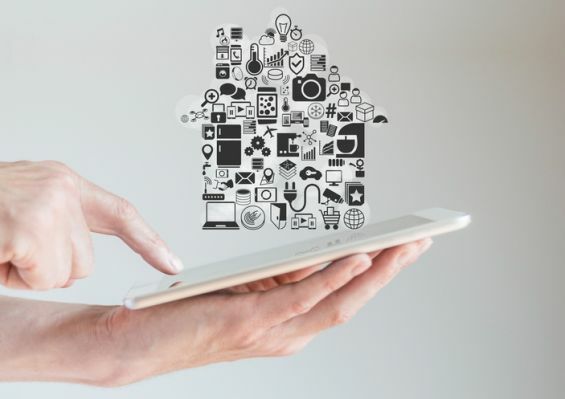 We have put together a list of 4 Smart Home gadgets that are worth considering. Are you returning home to a stuffy welcome? 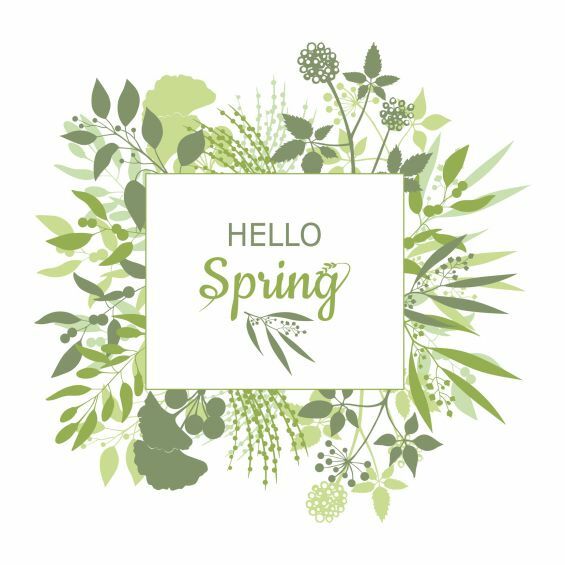 We are starting to see a rise in the temperature as we go deeper into spring and many of us are already spending our spare time relaxing outside or tending to the garden chores. With summer only a few weeks away, this is when we will start to feel the real heat from the sun. Short term solutions do not always pay off. As people start to diversify with their habits and opt for a greener lifestyle, we are starting to witness more environmentally friendly products appearing in the consumer market. The way we live and the products that we choose all have an impact on our climate, by breaking the norm and looking beyond the box we can make a difference. March is a busy month for our installation teams, with numerous products being installed following pre-season orders, so clients can enjoy their outdoor space during the warmer weather we are starting to experience and most importantly their first BBQ of the year of the Easter period, with protection from that typical shower. 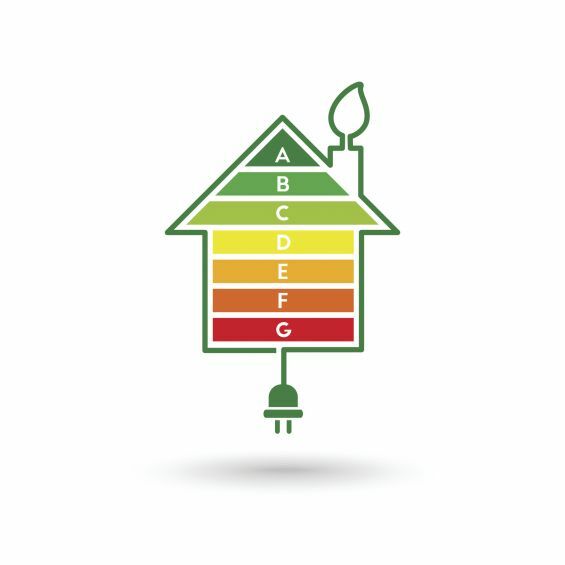 Is your home designed to be energy efficient and eco-friendly? With life expectancy increasing, the world is becoming heavily populated which results in more vehicles on the road, more heat being generated from homes and more food consumption. As cities keep on expanding and sponging up the countryside, we are experiencing a detrimental effect on the environment. Climate change has been an ongoing global topic which has to be addressed with solutions to decrease the pressure we are implementing on the earth. We all have a vital role to play to secure a future for the next generations to come, it is up to us to set an example and change our lifestyles to create a more positive effect. Are interior blinds fading away? Window treatments are something that most of us will firstly think of as products to create privacy and block out the outdoor light. 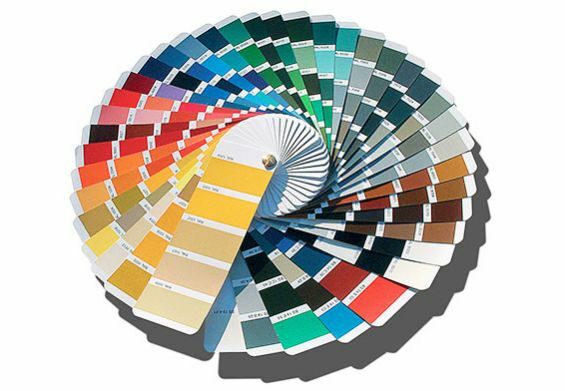 We will naturally select products to improve the aesthetics of our homes before we think about the other benefits. As important as this is to make a home feel comfortable it is also advisable to understand how they will impact your home. Internal blinds are the common household choice with a vast range to choose from - the most popular being the rollerblind. However does this option provide you with value? A glass veranda can be a great addition to the exterior of your home. 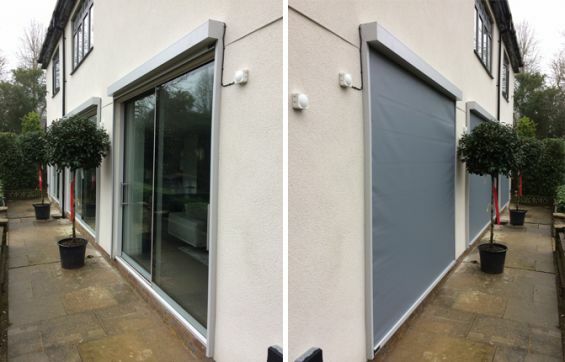 A permanent fixture that will provide you with cover from the bad weather but is this the best all weather solution that will give you all the benefits that you are looking for? 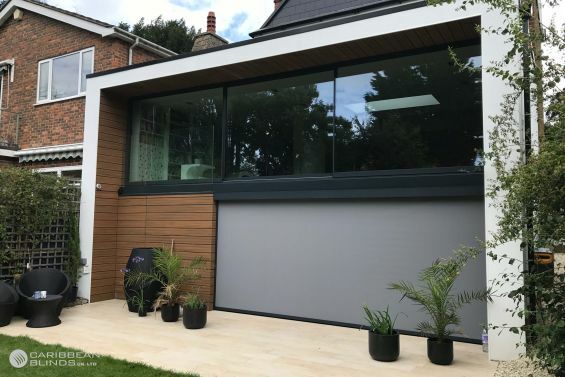 Having just completed the build of a new property in East Barnet, the client was concerned with privacy to the 3 sets of sliding patio doors. 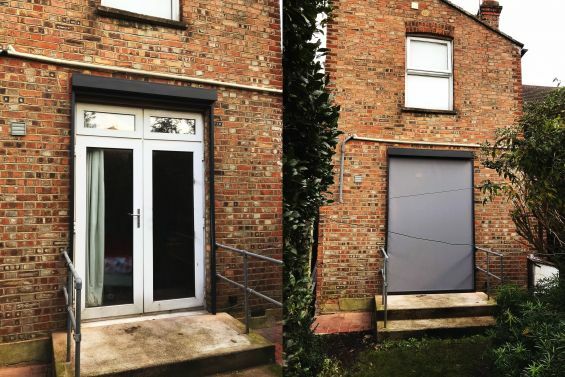 They wanted to ensure that no one could see into their property whilst they were not there however they didn’t want anything too bulky or cumbersome such as security shutters that would spoil the clean lines and finish of their façade. Is it the right time to consider external shading? During the winter months, we don’t normally consider shading of any description, after all, the wet, cold grey weather doesn’t make us think of keeping cool from the sun, however, with a warming climate and Spring almost as hot as Summer, it’s not long before warm weather becomes a problem, causing our properties to overheat, making them uncomfortable to be in, particular those with heavily glazed elevations along with glass rooms & conservatories. Even down to the thread. Before entering the purchasing process we are usually triggered by a need. Once this need has come to light, we look for a solution, one that will benefit us in the long run. We have to consider what we can afford and who will be able to provide us with the quality and service that we seek for the money we are willing to part with. Passivhaus is a building standard that delivers a high level of occupant comfort whilst using very little energy for heating and cooling. Built with exceptional attention to detail through rigorous design and construction, Passivhaus properties incorporate a variety of features to enhance one's lifestyle. If you're yet to see a Passivhaus property, they're set to grow on a global scale, so one could be coming to a street near you soon! 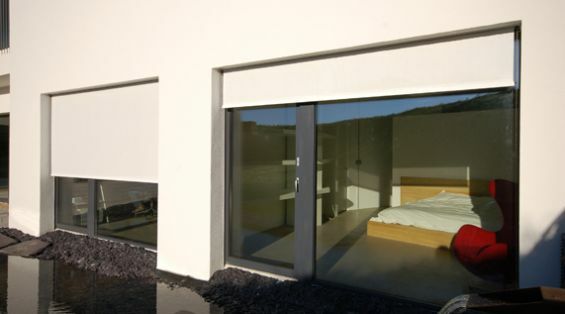 Let the light in with External Roller Blinds! 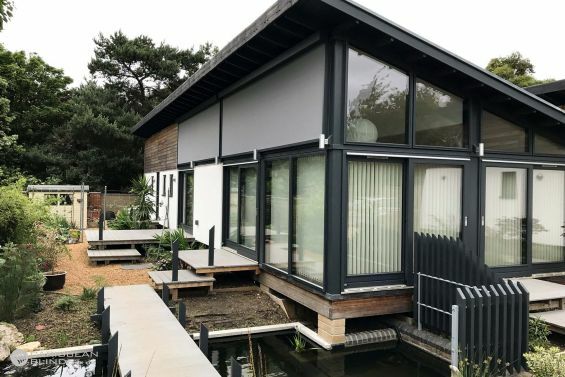 We've recently seen a rising number of homeowners choosing to give their home a sleek, modern makeover with the addition of stylish Aluminium windows. 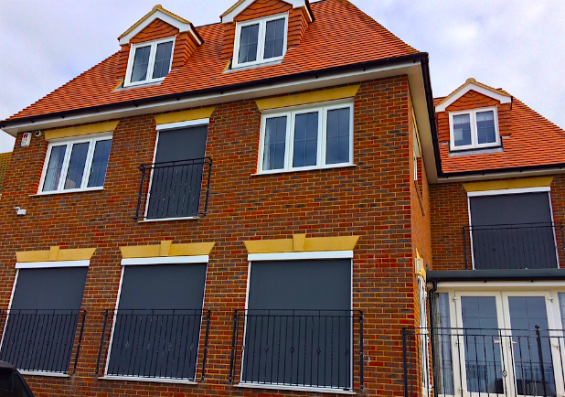 As well as looking the part, Aluminium windows offer a host of benefits, from impressive durability with long-lasting colour to a larger glass area to allow the maximum amount of light into the property. 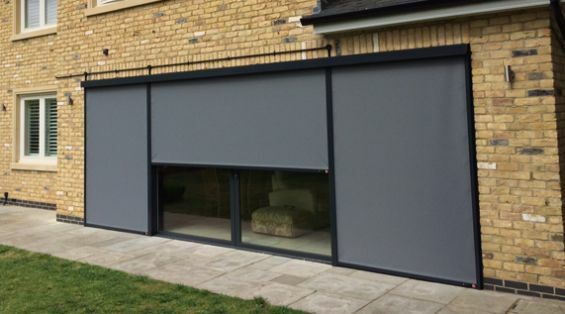 External blinds are ideal for bright Winter days! As a result of the sun's lower position in the sky and its increased intensity, we can often feel dazzled during the Winter months. Furthermore, this sunlight is prone to creating additional glare within our homes and though glare can be an issue all year round, bright Winter sunlight can make it extra difficult for our eyes to focus. This excess glare can lead to eye-strain and overall discomfort, hence why we tend to see an increase in enquiries regarding our innovative external roller blinds during this time of year. Stay warm, safe & energy-conscious this Winter! Following the recent decline in temperatures, it's the perfect time to embark on a few simple home improvements to ensure you can enjoy a stress-free Winter. 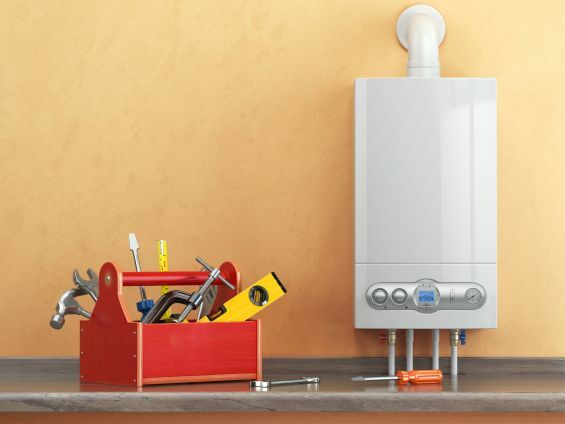 From servicing your boiler to securing your home, get ahead with these simple maintenance tasks to save you both time and money in the near future. Cosy and comfortable is all the range! With a new school term underway and Summer holidays a distant memory, it's time to prepare your home for the colder weather! We've rounded up five of our favourite new-season home updates to help you create a dramatically different interior this Autumn. Bright and breezy has never been so easy! Did you know it requires three times as much energy to cool a building by one degree centigrade than it does to heat it by the same amount? However, with a correctly positioned and specified exterior shading system, interior room temperatures can be reduced by more than ten degrees, which in turn can cut the energy consumption needed to cool down a hot room by more than 80%. 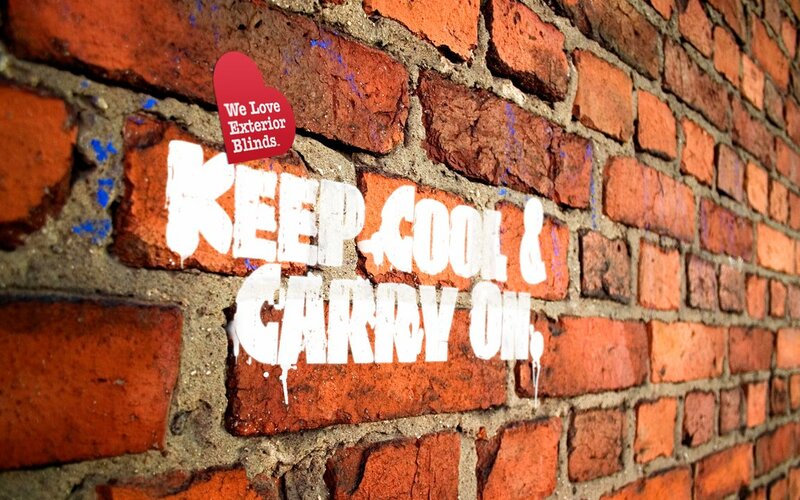 Keep your cool this August! 1. Pointing a fan towards an open window helps to push the warm air outside to generate a cooler interior temperature. Perfect if you're struggling to sleep in the heat! Another reason to go green! A new report released today has revealed that Passivhaus properties use a staggering 58% less energy than the average home. These results were generated following the first 12 months of occupancy for a three-bedroom eco-home in comparison to an ordinary British household. External blinds to the rescue! The long Summer sunsets are causing chaos for holidaymakers at Stansted Airport by disrupting electronic passport gates at border control. Passengers arriving at Stansted Airport have found the low setting sun shining through the windows is preventing the computer screens from identifying their faces, causing long delays for the Essex airport which deals with more than 40,000 passengers a day. 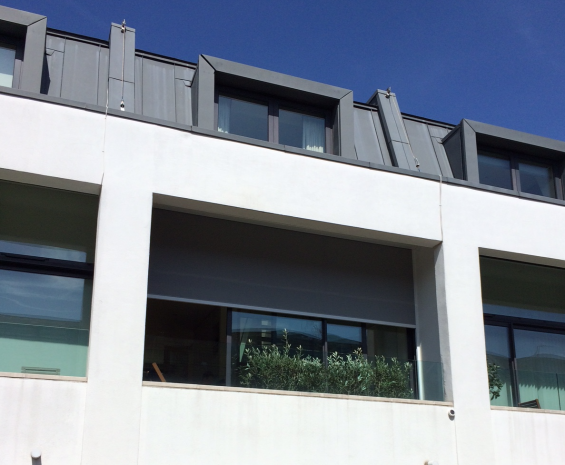 Having recently moved into their modern town house, which benefited from a roof terrace accessed via their bedroom and ensuite, the Paus soon realised their roof terrace could be seen from the neighbouring properties and therefore needed to install blinds of some description. The U.N. weather agency is warning of 'fundamental change' in the global climate along with continued warming, following the news that the first four months of 2016 were the hottest globally in 136 years. 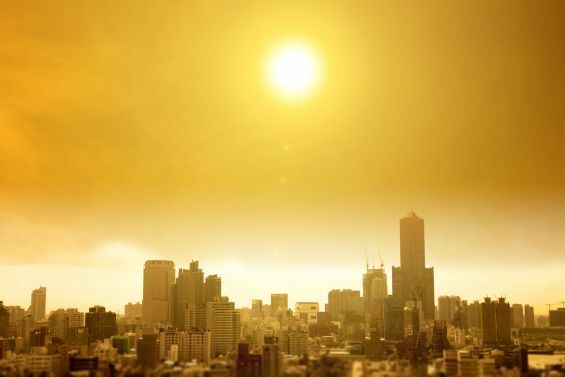 WMO global director Dr. David Carlson revealed the new data showed 370 straight months of warm or warmer-than-average temperatures worldwide, with Carlson explaining that "the state of the climate so far this year gives us much cause for alarm." Solar shading is a hot topic! 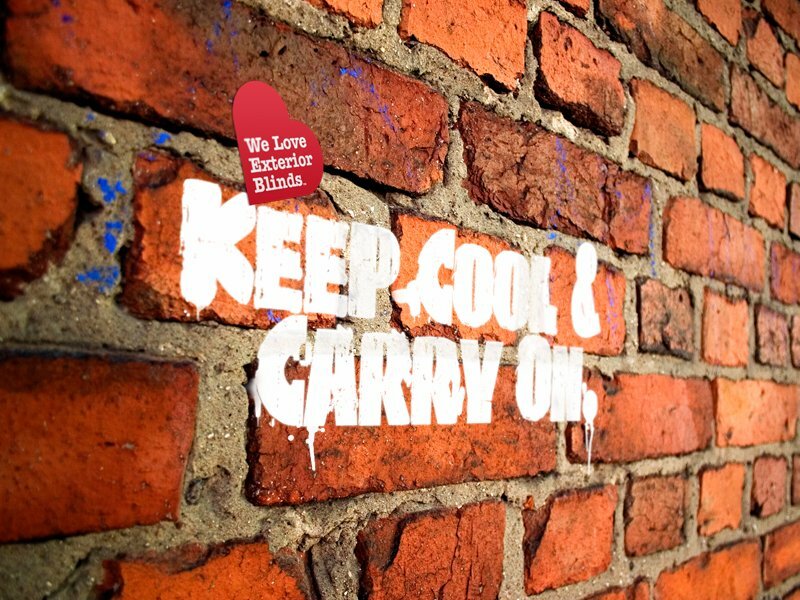 After Government officials issued a warning stating that "people can die from the heat at just 24.5°C," a second news report has highlighted the importance of keeping our properties cool during prolonged periods of warm weather. 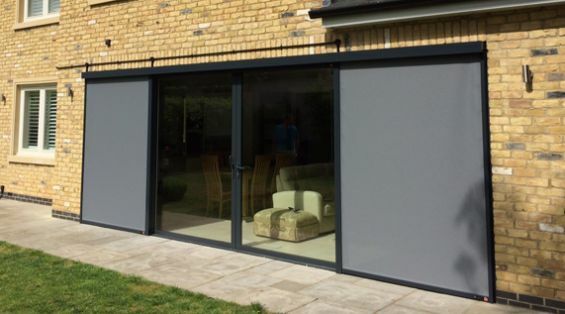 The report specifically recommends installing external shading outside windows- such as our highly-acclaimed external roller blinds- in order to combat the heat caused by our increasingly extreme Summers. Rather than separating the individual floors, the remarkable design incorporates a double height open space to provide a glimpse of the two bedrooms above as well as the living room situated beneath the first floor. Additionally, there are two roof terraces on the second floor which provide stunning panoramic views of Lake Zurich that's located just a few hundred metres away. 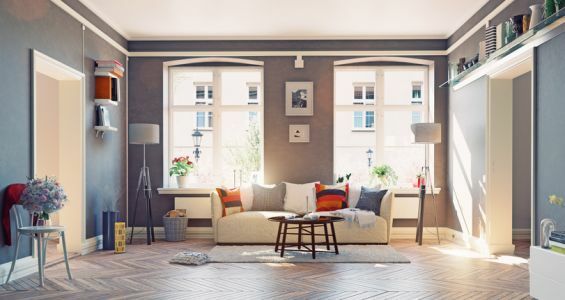 In a recently-published report, The Government has strongly advised homeowners to 'paint their property white' to protect themselves from heatwaves along with considering metal blinds and dark curtains in a bid to keep their homes cool. When you think about altering your home's design, chances are you probably don't think about how it can affect the planet. With costs and other practical considerations to bear in mind, it's unlikely that environmental impact is a top priority- and you're not alone. Despite our growing awareness of global warming and the importance of leading a greener lifestyle, according to National Geographic's Greendex Survey, people's consumption habits are slower to come to fruition. Britain Is 10 Days Away From The Hottest Summer In A Century! A heatwave is on the cards as forecasters claim Britain is just 10 days away from the start of what is shaping up to be the warmest Summer for more than a century. A freak movement in weather patterns will see temperatures climb to an impressive 30°C in early June, followed by three months of exceptionally warm weather, meaning it is quite likely the highest ever recorded temperature will be surpassed over the coming months. 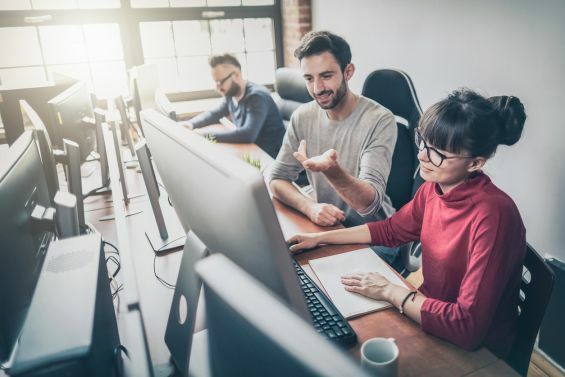 According to a recently published study, people who spend more time in natural lighting have increased productivity levels and alertness compared to those individuals that spend the majority of their day in artificial lighting. This is because light directly impacts the amount of Melatonin a person produces, which affects how awake we feel. Properties prepped for the Summer months! 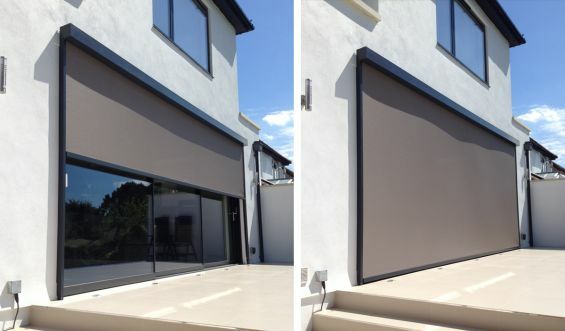 Following the recent rise in temperatures and prolonged sunshine, during the past week we've seen a notable increase in enquiries regarding our External Roller Blinds, as homeowners begin to experience unpleasant overheating within their properties. Cool, energy-efficient homes are hot property! As global temperatures reach record highs, developers of cool, energy efficient homes are in high demand. 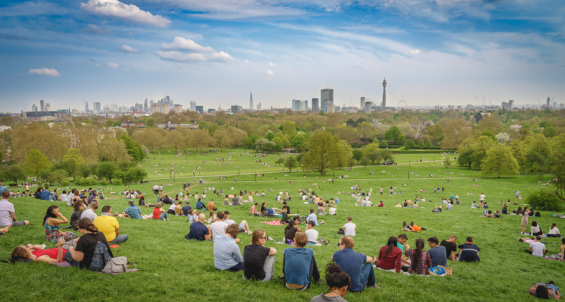 And whilst overheating may not appear to be the most pressing environmental issue in Britain with our cold Winters and temperamental Summers, with 83% of Londoners suffering from an uncomfortably home in 2015, this issue is only set to escalate. Paving the way for Passivhaus properties, meticulous attention to detail has resulted in a comfortable, urban home for the client's young family, teaming maximum functionality with minimal energy consumption. We look at what's set to raise the roof in 2016! New Passivhaus building is top of the class! James Ellimen, Operations Manager of the impressive project said: “This is a hugely significant project not only for the university and the region, but also the UK as a whole. Further to that it has been extremely exciting for us to work on such a landmark building. 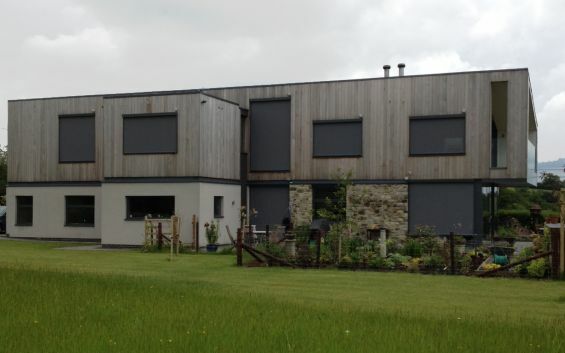 Delivering a Passivhaus on such a large scale is not without its challenges and we employed a number of energy efficient mechanisms to ensure that this standard was met. Magic Glass: Is It Worth The Hype? And whilst many people are under the impression this type of glass alone will be adequate enough to keep a conservatory cool during the summer; with over 25 years experience in the field of solar shading, we know this simply isn't the case. A recent report has revealed street lights are interrupting the sleep of millions of people in urban areas around the world, with those living in towns and cities of more than 500,000 people at the greatest risk of excessive light exposure. Due to the sun's lower position in the sky during the Winter months, we've recently experienced lots of bright and sunny weather conditions. However, as much we appreciate these sun-filled days, the sun's increased intensity along with its lower orientation in the sky can leave us dazzled along with causing excess glare within our homes. From a derelict barn to a desirable dwelling! However, architects Seymour-Smith's design for the site eventually won the approval of the planners making it one of only twenty properties in the UK to ever to be granted planning permission in an Area Of Outstanding Natural Beauty. Boasting stunning panoramic views, located in an area overlooking the River Tweed, this private dwelling was completed in 2011. The house was constructed in just six weeks during the harsh Winter of 2010 and has been designed to last 100+ years whilst taking into account the requirements of future generations. If you're unfamiliar with the phrase Passivhaus (or Passive House) as it is otherwise known, this term refers to a building standard that is simultaneously comfortable, affordable, ecological and energy efficient. With features such as external shading systems and low-temperature heating, it's easy to see how green buildings help protect the environment whilst benefiting those that occupy them. This said, the consideration of users during the planning stages is often overlooked. 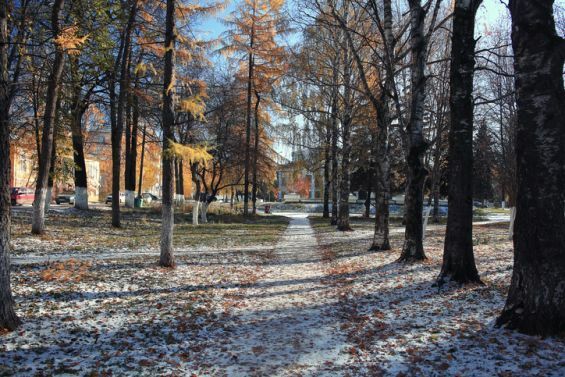 Bioclimatic architecture refers to the design of buildings and spaces that share a connection to nature. By taking account of cli­matic and envi­ron­men­tal con­di­tions, the interior of these buildings can achieve optimal ther­mal com­fort. In exactly one month's time, Caribbean Blinds will be exhibiting at Ecobuild, the UK's leading exhibition for the construction industry which places an emphasis on sustainable, innovative design. As the UK’s solar shading experts, the show offers an invaluable opportunity to see our products in action along with understanding the economic, environmental and lifestyle/productivity benefits they provide. With just over one month until we'll be exhibiting at this year's Ecobuild exhibition, we felt it would be the ideal time to shed some light on common misconceptions and myths surrounding external shading solutions. From understanding how the benefits of solar shading can be enjoyed on a year-round basis to explaining how our products are subjected to the most stringent of quality tests, we're ready to sort fact from fiction. Along with generating their own electricity, the eco-conscious couple also have a rainwater harvesting system. This operates by diverting water from the guttering into a 5,000-litre tank so it can be used to flush their toilets. As a result, their water bills – charged through a meter – have been reduced by about 60 per cent. However, despite the fact the property is designed to be fully self-sufficient, architects were keen for the property to maintain the look and feel of a 'normal' home, along with ensuring the building fitted in with its rural surroundings. Mr & Mrs Taylor were carrying out their dream renovation to their home in Hertfordshire, which included the addition of a new single storey extension open plan living space, fitted with glazing running the full width to allow the space to flood with natural light and to give them unparalleled views of the expansive countryside to the rear. Due to Global Warming, temperatures in megacities are estimated to rise by as much as four degrees, underlining the urgency for a sustainable and cost-effective solution to this growing issue. In fact, a recent survey by Sustainable Homes concluded that 65% of individuals (some of which are social landlords) believe there is 'real concern within their organisation regarding overheating in residential properties,' with almost half reporting they were 'extremely or very concerned' about the side effects of this issue. This morning The Telegraph published an article highlighting to what extent our megacities will 'slip under the waves' as a result of climate change. The article revealed how scientists believe large parts of New York, London, Shanghai and numerous other cities will be submerged by water as a result of rising sea levels, despite attempts to limit global warming by two degrees at an upcoming global warming summit. 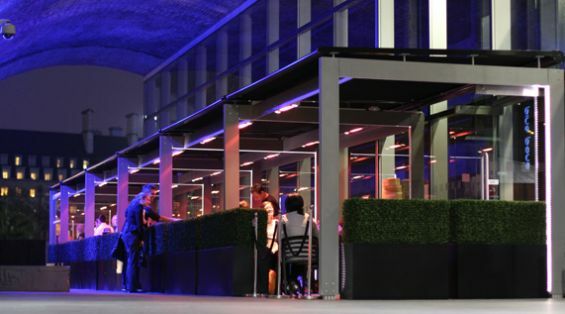 If you're looking to maximise your establishment's revenue, outdoor seating could be the answer, with a recent survey revealing the introduction of a simple patio/terrace could increase income by as much as 30%. This figure could be even greater if outdoor seating was available on a year-round basis, so it's potentially a very lucrative investment for your business. 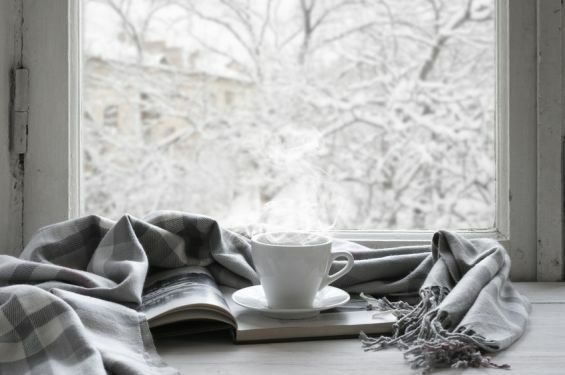 Following on from Friday’s article about Keeping Warm This Winter, today we thought we’d give you a further insight into effectively insulating your windows, helping to reduce the amount of heat lost from your property during the cold weather. 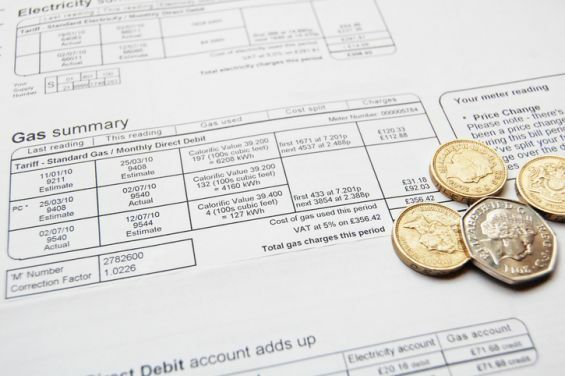 For many homeowners, this indecision is the result of one key factor- the rising cost of energy bills. Whilst it’s no secret we could all shop around more to find the cheapest energy suppliers, understandably, many families opt to stick to their existing plan in order to save time and hassle. This said, many people aren't in a position to move home at present due to the stagnant property market and the prohibitive cost of moving, as Jonnie Irwin, spokesperson for ratedpeople.com, explains. "Faced with a difficult housing market, homeowners should be looking at what they can be doing to improve their current home - and where they can add value - rather than moving on." Last week The Chartered Institute Of Building reported that a rising number of new builds were being affected by overheating issues, particularly during the Summer months. 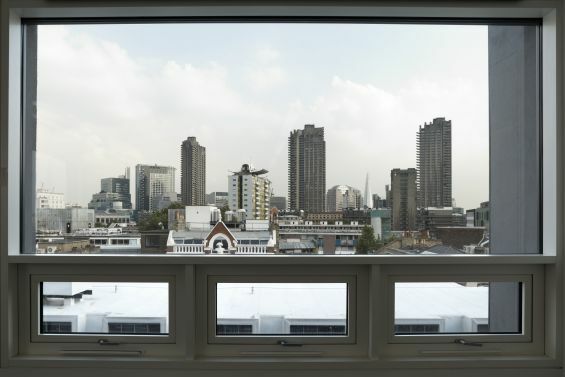 The survey revealed that of 1,005 Londoners questioned, residents in newer homes were affected significantly more by overheating problems compared to those with older homes. Like many fashions, interior design trends come and go, but the concept of “bringing the outdoors indoors” is one that shows no sign of disappearing any time soon. This trend is one that can be taken at face value, and simply means blurring the lines between indoor and outdoor to give the illusion of one large, connected space. 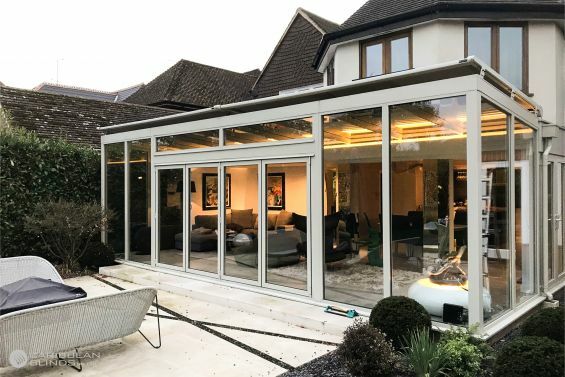 Whether you’re building an extension, renovating your existing home or embarking on a new build, one thing is guaranteed, it will include large expanses of glazing in terms of sliding/folding doors, panoramic windows and sky/roof lights. So how do infrared rays work? Firstly, infrared rays were originally discovered in 1800 and whilst they are invisible to the naked eye, they are responsible for transmitting heat, raising skin temperature and generating the warmth we feel when sitting in the sun. Infrared radiation is one of three ways that heat is transferred from one place to another and makes up almost half of all the sun's energy as demonstrated in the diagram below. Despite the fact large windows create an inviting and attractive space, the surplus light and heat can cause a multitude of problems that severely restrict the building's practicality. Although the student’s umbrellas may provide a small amount of shade, this solution is far from ideal in terms of comfort and functionality. This said, it was revealed officials did consider the installation of blinds to control the heat, but this was deemed impractical due to the architecture of the library. This map highlights how each continent experienced warmer than average temperatures throughout June. Some simple insulation can make a big difference, improving how well your windows retain heat inside your property, saving you energy and money on your heating bills. U-values, seen on all window manufacturers literature is a measure of the thermal transmittance of the window or any material. Standing for watts per metre squared celsius, the lower the u-value, the lower the heat loss, therefore meaning the material is a better insulator. We really appreciate getting feedback about our products and service, especially when clients take the time to give us a detailed review about their whole experience with us, like the below, received on Friday (4th July) afternoon no more than half an hour after our installation team completed the installation of our Antiguan model external roller blinds to the ground and first floor windows of the rear elevation of the above new build ultra modern property set on the riverfront in Weybridge, Surrey, on what was reported as the hottest day of the year. 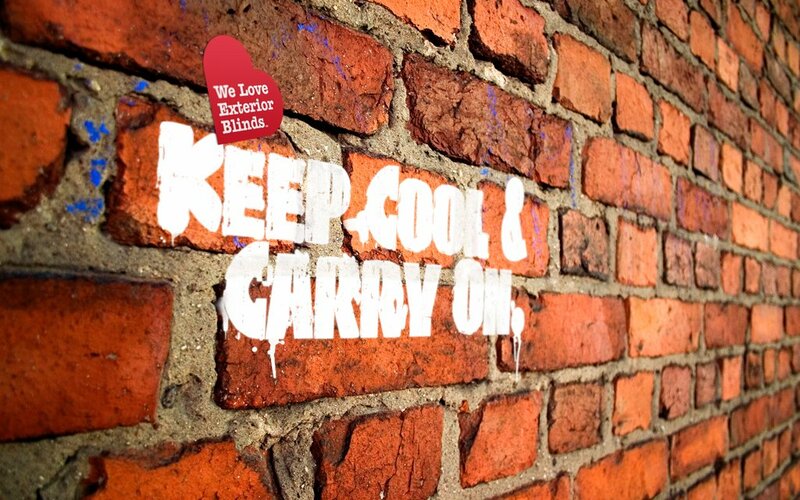 We have not gone into the internal blind market, no, definitely not, we’re 100% committed to exterior blinds and this is one of the many things that makes us different to every other company involved in the industry – we’re the UK external shading specialists. 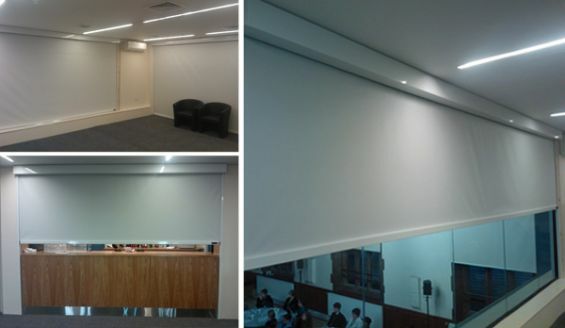 However, we have noticed over the past year and in particular a surge in the last 6 months for our external roller blinds and tensioned roof blinds to be mounted internally, primarily in commercial and educational facilities to provide shading or blackout to large glazed areas. 35no. 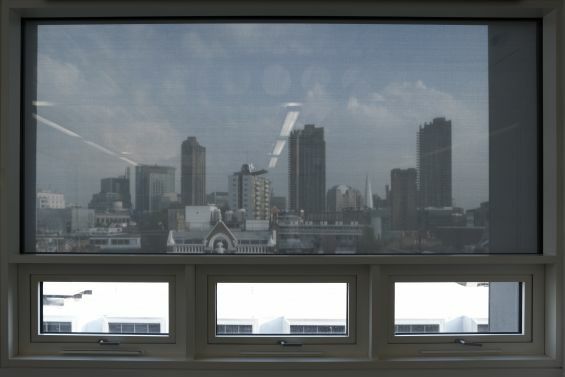 of our Antiguan external roller blinds with zip locking side guides have recently been installed as part of the extensive refurbishment and upgrade package to Morelands office building, located in Londons design district, Clerkenwell and part of Derwent London's prestigious property portfolio. Currently our exterior solar shading systems are available in a number of standard hardware (metalwork) finishes, including pure white and dark chocolate brown – the 2 most popular metalwork colour options selected in the UK due to our houses being fitted with white and woodgrain effect uPVC windows / soffits, which most people wish to blend their blind metalwork with. Located within the town centre and where the full council meetings take place, plus cabinet, planning, licensing and various other council meetings and home to the Mayor’s office, the MBC Civic Suite is the political hub of Solihull. 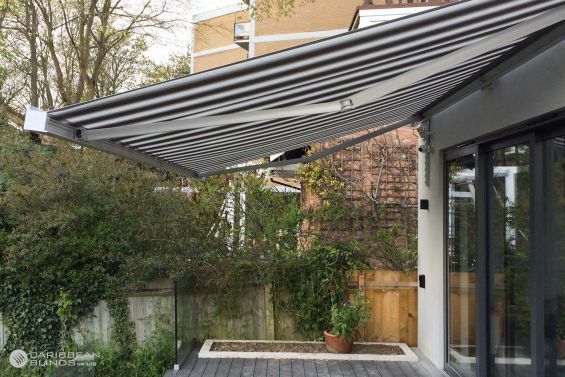 External Blinds, Patio Awnings and the award winning Outdoor Living PodTM, louvered roof canopy, direct from the UK's leading family owned manufacturer and installer. We Love External Shading and the benefits it brings. No one is more passionate, knowledgeable or experienced. 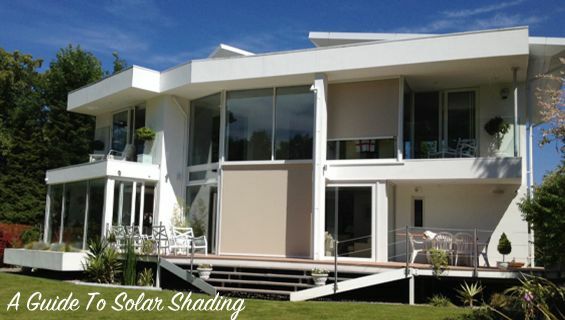 Our external solar shading systems keep you cool and look great doing it. They block damaging UV rays whilst admitting diffused natural daylight. 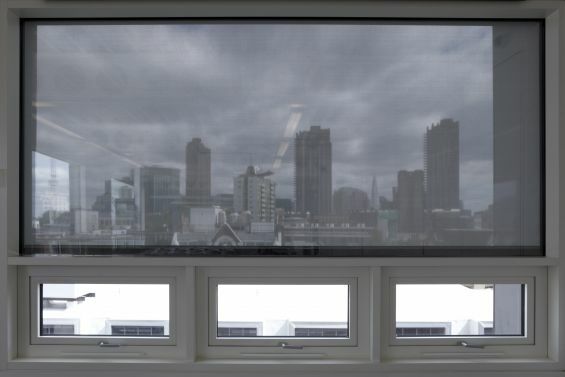 They offer sufficient glare protection and contribute to the cooling of rooms whilst maintaining the view. Air conditioning use becomes a thing of the past saving money on energy bills and reducing a buildings carbon emissions. Exterior shading is a part of the solution in the fight against climate change. Very healthy and green indeed! 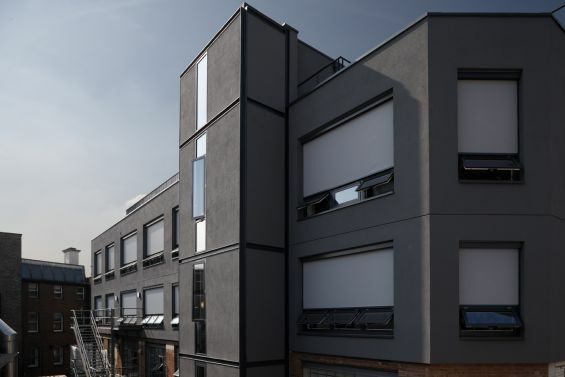 Offering the largest, most comprehensive and diverse range of external solar shading systems available in the UK, coupled with our unparalleled experience means we are always able to specify and provide the right shading system for the application, requirement and budget. Every single one of our team is passionate about exterior shading. 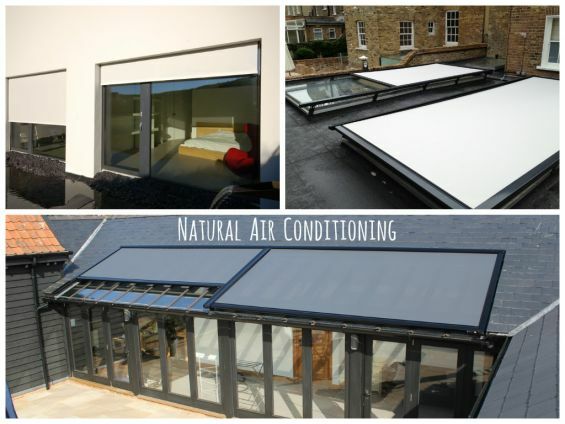 They put their heart and soul into providing external shading systems of real distinction that truly make a difference, whether it be energy saving, comfort or lifestyle. Expect more, expect everything from your exterior solar shading supplier. Beware of inferior products. Opt for the best under the sun and experience a refreshing difference dealing direct with the UK's leading genuine manufacturer of external solar control and sun protection products.